Once again, here are a few photos from the past few weeks’ ramblings. 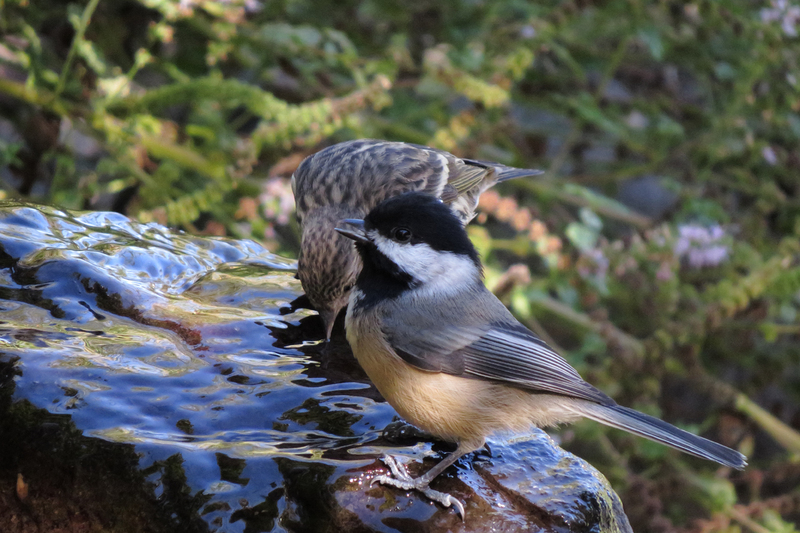 While one can admire the adorableness of this Black-capped Chickadee, the real bird of interest is his drinking buddy in the background, a Pine Siskin. Siskins were pretty much non-existent last year as their population took a big downturn (as it does every few years). This fall has brought good numbers of Pine Siskins to the Willamette Valley already, so it looks to be a good year for them. 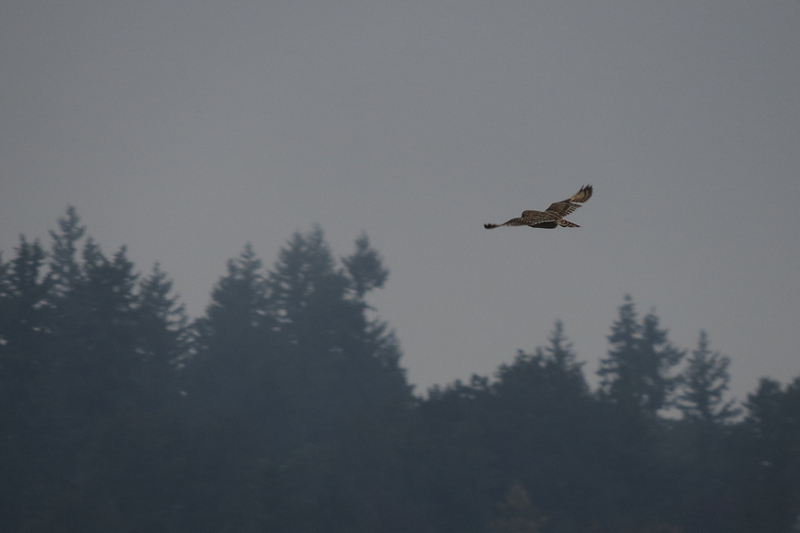 This Short-eared Owl flushed from Broughton Beach and flew out over the Columbia River before heading downstream. Short-eareds winter at this site with some regularity. I felt bad about flushing the bird. If she had just sat still, I probably would have walked right by and not seen her. I would think that birds who roost in such a high-traffic area would learn to adjust to passers-by. My gull class went to the coast last weekend. 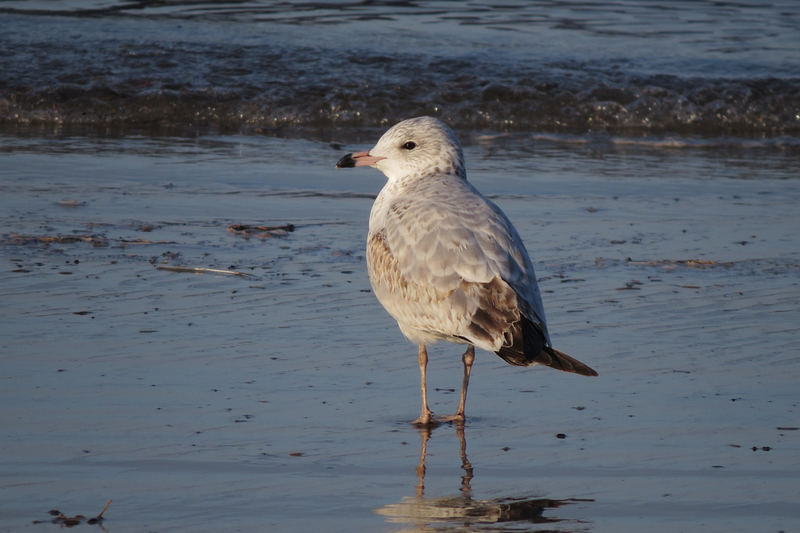 We found nine species of gull, one less than last year but still great diversity. 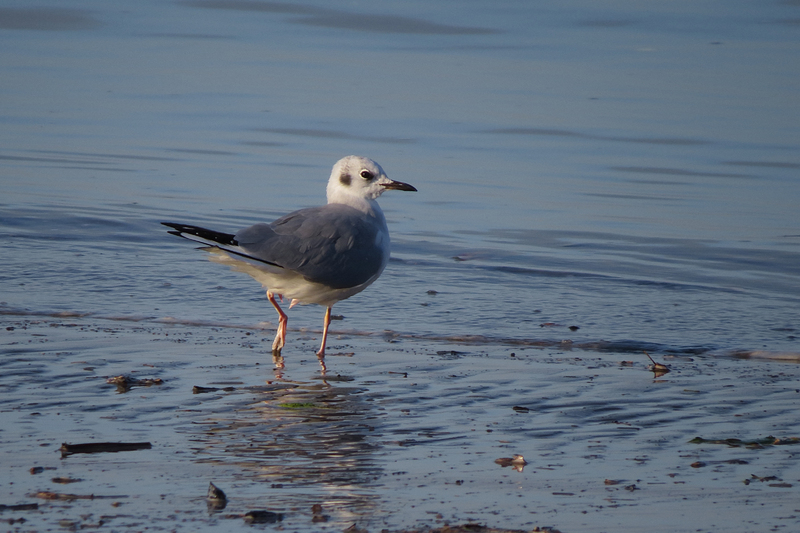 One of the first was this first cycle Ring-billed Gull. 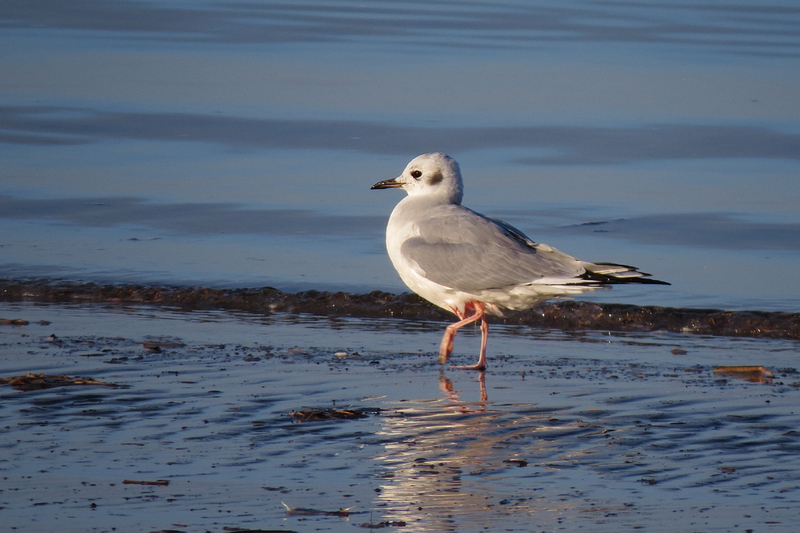 Bonaparte’s Gulls get the award for cutest gull on the Oregon coast. Even though they lose their black hoods in winter, you can still see the white eye crescents when they turn just so. 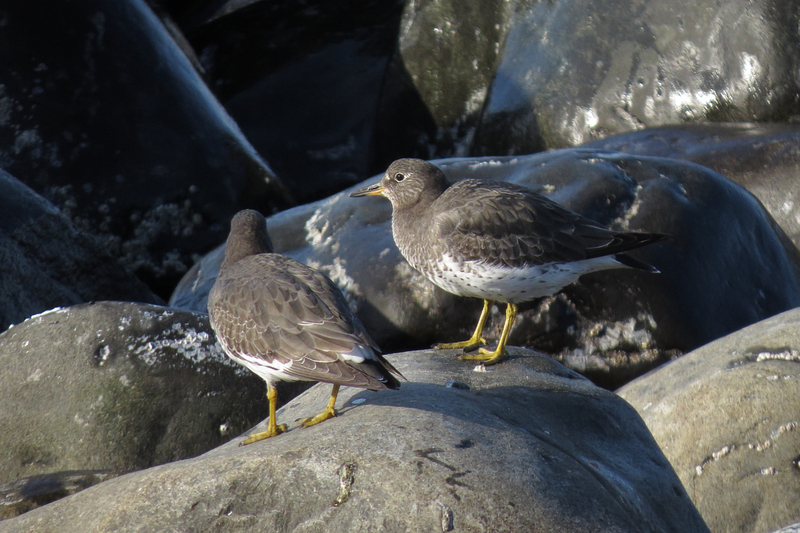 The Seaside Cove hosted several Surfbirds along with a flock of Black Turnstones. Both of these species are reliable at this site in fall and winter, but it still feels like a treat to find them every time I’m there. The forecast for the next week calls for cool and rainy weather, so we shall see what changes that brings to the birding. This entry was posted in seasonal movements and tagged Black-capped Chickadee, Bonaparte's Gull, Pine Siskin, Ring-billed Gull, Short-eared Owl, Surfbird. Bookmark the permalink.